One method of removing solids from drilling fluid is to pass the mud over the surface of a vibrating screen. Particles smaller than the openings in the screen pass through the holes of the screen along with the liquid phase of the mud. Particles too large to pass through the screen are thereby separated from the mud for disposal. Basically, a screen acts as a “go-no-go” gauge: Either a particle is small enough to pass through the screen or it is not. mesh, mounted in a screen panel. These screens will have openings that vary greatly in size & shape. The purpose of vibrating the screen in solids control is to tumble the solids particles to separate fluids from solids and increase through put capacity. This vibrating action causes rapid separation of whole mud from the oversize solids, reducing the amount of mud lost with the solids. For maximum efficiency, the solids on the screen surface must travel in a predetermined pattern. For example; some devices use elliptical motion and others use Linear motion to increase efficiency. The combined effect of the screen and vibration, result in the separation and removal of oversized particles from drilling mud. Canadian explorer Africa Oil Corp said yesterday it had begun drilling a new well in Kenya with its British partner Tullow Oil Plc, as the two companies speed up exploration efforts in East Africa . East Africa has become a hotbed of exploration after oil discoveries in Kenya and Uganda and huge gas finds in Tanzania and Mozambique. However, Kenya has yet to determine whether it has commercially viable quantities of hydrocarbons. Drilling of the Ekales-1 well, located within Kenya’s Lokichar basin, started on Monday. Its planned depth is 2,500 metres and it would take approximately two months to drill and evaluate its content, Africa Oil said. 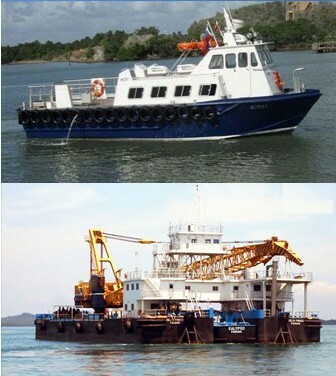 “The Ekales prospect is probably one of the lowest risk prospects in our inventory. The proximity and similarity to the existing Ngamia and Twiga discoveries give us a high degree of confidence that we will find oil and continue to build the discovered resources necessary for commercial volume threshold,” Keith Hill, Africa Oil’s chief executive, said in a statement. Earlier this month, Tullow said it saw a flow rate potential of 5,000 barrels a day based on Ngamia-1 and Twiga-South-1, and estimated combined mean associated resources for the discoveries were 250 million barrels of oil, a forecast it said could increase further after appraisal. The Ekales-1 prospect is located approximately 15 km northwest of the Ngamia discovery and 7 km south of the Twiga discovery, Africa Oil said. Ekales-1 on onshore block 13T is a joint venture between Tullow, the well operator with 50 per cent of the exploration licence, and Africa Oil. MANILA – Australia’s Otto Energy Ltd has begun drilling for oil in Leyte. In a regulatory filing, Otto Energy said the Desco Rig 30 commenced drilling at the Duhat-2 exploration well, which the company expects to take 31 days. Duhat-2 is covered by oil and gas exploration and development service contract (SC) 51. The prospect is estimated to contain a mean prospective resource oil volume of 34 million barrels of oil with a range of 1-88 million barrels of oil. The company culled the estimates from the seismic program it commissioned in the petroleum block in 2012. “Success at Duhat has the potential to not only identify a new oil field but a new petroleum province,” Otto Energy earlier said. The contract area is divided into two areas: the southern portion, which covers the Cebu-Bohol Strait; and the northern portion, which covers a portion of onshore Leyte that covers the Duhat-2 prospect. Otto Energy controls 80-percent of the northern portion in partnership with local firms Cosco Capital Inc, Trans-Asia Oil and Energy Development Corp and PetroEnergy Resources Corp. The group expects to commence with field development and exploration as early as 2014 if the Duhat-2 drilling is successful. Otto Energy is also part of the consortium that operates the Galoc field, which is the Philippines’ only commercially producing oil field. 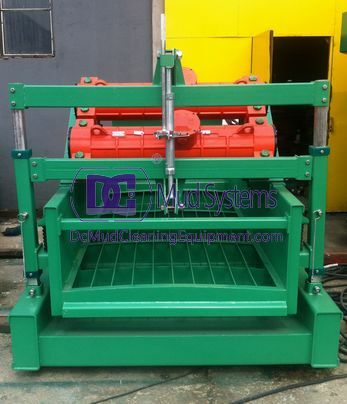 DC Machinery manufactures several models of shale shakers, each targeting a specific segment of the market. These shakers are employed on rigs ranging in size from small work-over land rigs to large offshore platforms. 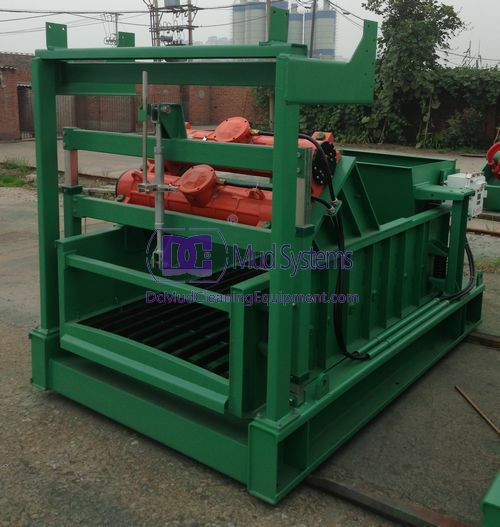 The following picture is shale shaker which produced by DC Machinery, the model is DCS700-3. the first six months, up 3.2 percent from the same period last year. rose by 6 percent to 133.77 million tonnes, the NDRC said. year earlier to 126.54 million tonnes. to 81.5 billion cubic meters, according to the statement. Dana Gas PJSC has achieved record production in 2013 in Egypt of 39,000 barrels of oil equivalent per day, including 190 mmscfd of gas and 8,500 barrels of liquids per day. The Company has made substantial capital expenditure investments to its Nile Delta operations over the last 18 months. 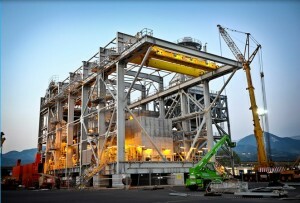 These include new compression facilities, new fields being brought on stream and work to increase its numerous gas plants throughput. As a result of investments made since February 2012 production levels have reached a peak of 39,000 boepd, an increase of 13% over the year 2012. The average output year-to-date has been 34,000 boepd. The Company’s core operations in the Nile Delta and its Egyptian Bahrain Gas Derivatives Company (EBGDCo) Natural Gas Liquids extraction plant in Ras Shukheir have not been impacted by the current events in Egypt. However, the Company continues to closely monitor developments. Dana Gas announced the Begonia-1 discovery on 30 June and has submitted a proposed Development Plan to the Egyptian authorities as part of a Development Lease application. 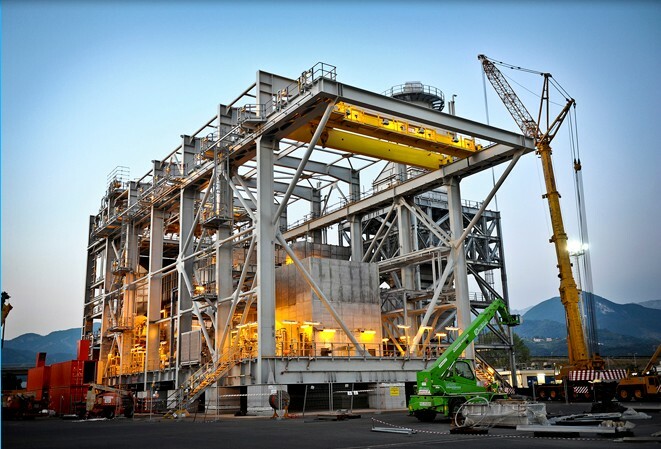 The submission remains on track and following approvals, gas from the Begonia-1 will be tied into the existing gas gathering and production system. Dana Gas continues to engage with relevant government authorities regarding its overdue receivables and its future capital expenditure plans. It welcomes and actively supports the Government’s desire to increase local hydrocarbon production in order to meet growing domestic demand. Discussions of fiscal support by the international community will also play a significant role in addressing investment decisions by key international investors. During Q1 2013, Dana Gas collected US$41 million with a 100% revenue collection. Dr Patrick Allman-Ward, General Manager of Dana Gas Egypt and designated CEO, said: “Our Egyptian operations continue to perform well despite the difficult fiscal environment oil and gas companies have faced in the country over the last two years. We have made four successful discoveries over the last year and increased our local production significantly.